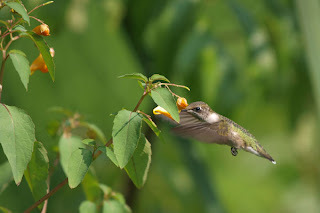 I came across this juvenile female Archilochus colubris (Ruby-Throated Hummingbird) at a local park (Huntley Meadows in Alexandria, VA) and realized I never posted about Dr. Silvana Martén-Rodríguez' presentation at the Convention on "Pollinators and Floral Evolution in Caribbean Gesneriads". It was very informative, and the video clips of hummingbird and bat pollination (or non-pollination) were great. Highly recommended, if you have an opportunity to see/hear/read about her research. I'll be back in a week with the rest of the Convention photos. Class 67 - natural garden over 12"
Class 66 - natural garden under 12"
Class 65 - Tray landscapes over 12"
Class 64 - Tray landscape under 12"
Class 62 - straight-sided terraria under 24"